Syn Free Creamy Chicken Korma! One of the things that is rubbish about being on a diet and trying to be good is not being able to indulge in weekend meal treats like take-aways. 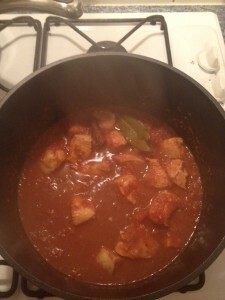 A curry is generally perceived as a total no-go area when you’re losing weight. Well not necessarily on Slimming World! I invested in a brilliant little book at my meeting which is full of lovely low syn curry recipes and I can’t wait to try them all out. 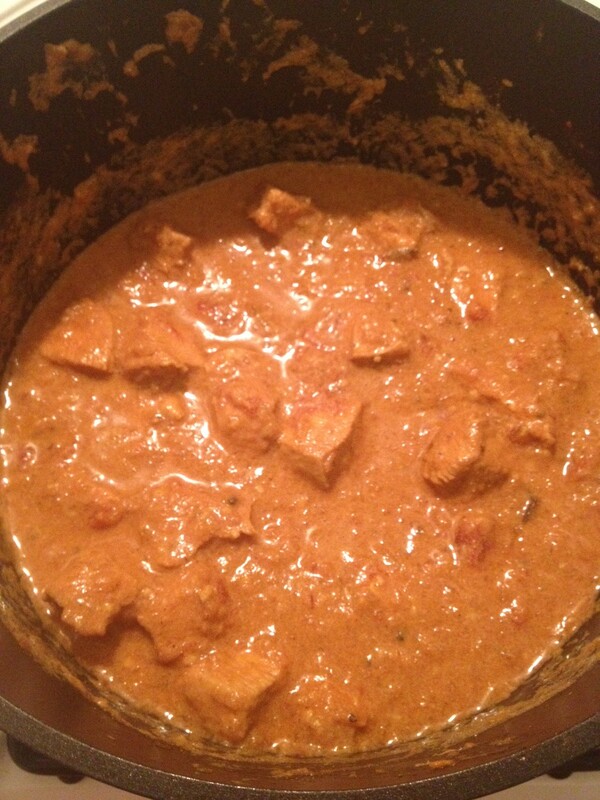 Keeping it simple for the first recipe attempt and picked a creamy chicken korma as our Saturday night treat this weekend. I was looking forward to this all week, and It certainly didn’t disappoint! 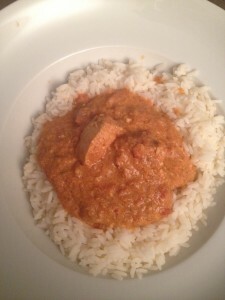 It was a lovely simple curry recipe and tasted fantastic! 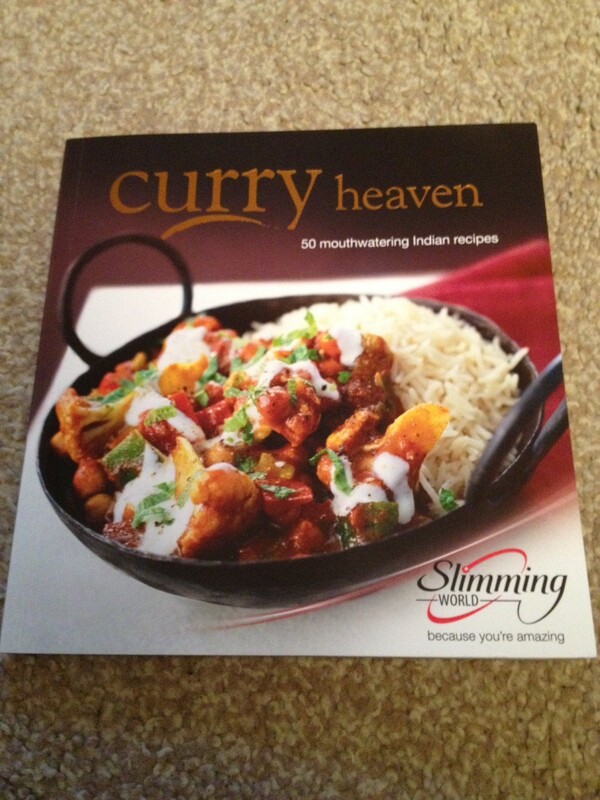 In my experience low fat currys can be a real let down (e.g. Weight Watchers curry sauces from a jar, horrible and watery), but this certainly wasn’t, and I would never have guessed that there was hardly any fat in it! Spray a large frying pan with low calorie cooking spray and place over a high heat. Add the bay leaves, cinnamon stick, cardamom seeds, cloves, cumin seeds and onion and stir-fry for 5-6 minutes. 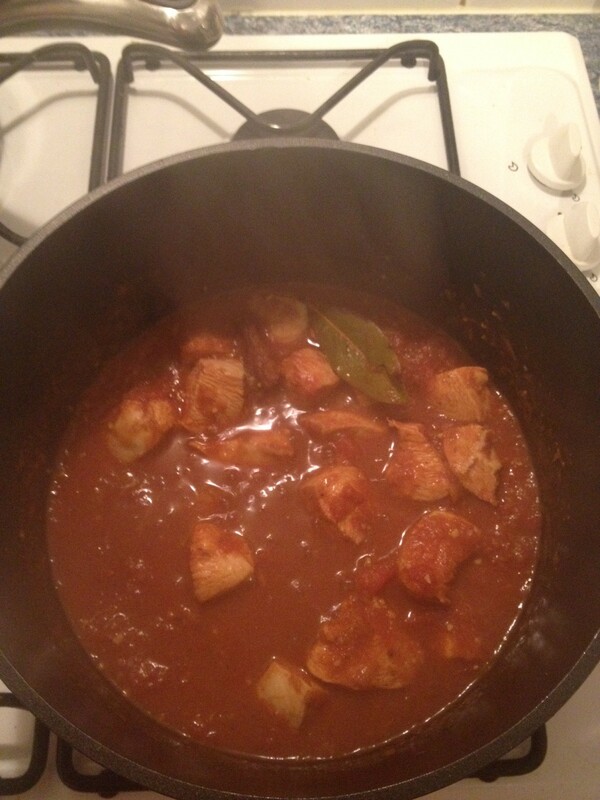 Add the ground coriander and cumin, curry powder, ginger, garlic and tomatoes and stir fry for another 3-4 minutes. Put the chicken into the pan and pour over the stock. Bring to the boil, season well, cover tightly, reduce the heat to low and allow to simmer gently for 20-25 minutes, stirring occasionally. 5. the pan from the heat and stir in the fromage frais. Serve Immediately. This entry was posted in Meals, Recipe, Slimming World by Jen. Bookmark the permalink. Hi there, looks delicious, was wondering if it can be frozen…. a lot of ingredients,,, would like to make and freeze? ?